Why does it take a disaster to bring home the realities of life? We only have a few short minutes to fill in an online application form. Make it work! The fire in Torch Tower, Dubai Marina in the early hours of Saturday, 21st February 2015 should have brought home to expats that insurance is a necessity. Remember that the insurance policy must be bought in the UAE to ensure its validity. Expats moving to or living in Dubai invariably make the comparison between life here in Dubai and life back home. One obvious area of comparison is the level of crime, with Dubai having a low level of crime, in particular theft. This leads some expats to think Dubai is a safe place to live and therefore they do not need home insurance. This is a big mistake although it is a safe place we still find the occasional fire. The National newspaper recently reported, of Dubai, ‘There were 220 fires in residential buildings in the emirate last year, including apartments, villas and labour camps, according to Dubai police’. That doesn’t sound like too many for a city which has many high rise buildings but these high rise buildings have many apartments which can easily be damaged and your property – clothes, music systems, IT equipment, TVs, beds, furniture, plants, jewellery etc – are damaged beyond all recognition or have severe smoke damage. The National also reported that only 6% of expats take out home insurance. A sad statistic. The stories in the news are sad and disheartening. Please help yourself and do something about this. The insurance companies aren’t trying to ‘rip you off’ they are trying to help you make sense of a situation you could find yourself in. God forbid of course. Fire is an obvious risk, but had you ever thought about water leakage or flood – even when you live in an apartment? With the hot weather, we are dependent on air conditioning – and water leaking from an air conditioning unit is an all too common occurrence. So you do need protecting. If you rent an apartment in Dubai you should look to buy home contents insurance. Speak to your landlord and confirm that insurance is in place for the actual apartment, as some people describe it – the bricks and mortar. There should be 2 insurance policies in place and it would be important for you to obtain copies of them if you can, as these two policies, together with your own contents insurance need to work hand in hand in the case of a major insurance event. Strata Insurance or Property Owners Association insurance – covering the major structure of the apartment complex as well as the common parts, such as the building lobby, stairwells. lifts etc. This policy is purchased by the Owners Association and is mandatory, however the level of cover is varied. We’re going to write more about the Dubai Strata laws soon. Landlords’ Building insurance – covering all of the permanent fixtures and fittings of your apartment, including any special renovations that the landlord may have carried out – say in the bathroom, kitchen etc. 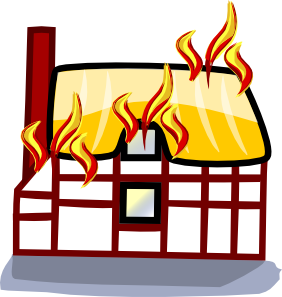 One important cover is for alternative accommodation if your apartment is uninhabitable due to a fire, water damage etc. If your total contents cover was for AED 1,000,000 , then you would get up to AED 200,000 for such alternative accommodation – which could pay for rental or hotel stay until you can move back in to your apartment. Your landlords’ buildings insurance may provide this type of cover, but its primary purpose is to compensate the landlord for loss of rental income as well as to provide alternative accommodation. You and your family’s personal liability are also protected, firstly as a tenant occupying the apartment and secondly in a personal capacity – with this cover being provided on a worldwide basis. You can also get cover to protect your liability as a tenant of the apartment to your landlord for damage to the apartment, the landlords decorations, fixtures & fittings, pipes and cables, glass and sanitary ware. Personal Possessions cover is also provided for those belongings that are often taken with you and your family outside – bags, laptops, cameras, clothes etc. Cover is provided outside our apartment across the UAE and also for up to 60 days anywhere in the world – important cover for the frequent traveller. Always double check the small print. If you have a maid, you can also have cover for your liability as an employer to the maid or any other employee in respect of injury or illness as a result of their employment. Finally, cover is provided for your contents if you move to another apartment or villa here in the UAE. You must use professional movers though. An insurance policy is a contract between you and the insurance company, so there are a number of things you need to be aware of within the contract. You must notify the insurance company as soon as possible regarding any incident that may result in a claim. You also have to notify the police in certain circumstances – such as theft or loss. You cannot leave your apartment unoccupied for more than 60 days – so if you are planning a long period away from Dubai, best to contact the insurance company, who will advise what steps to take, which may include turning off the water etc. There are 3 options as to where you can purchase UAE insurance and our recent article explains how. Please do not hesitate to contact Richard Schofield if you have any queries.